We want to make sure that you get a glimpse of the awesome time that awaits you in the Finger Lakes. Your #FLXperience can start with a bit of online inspiration by looking through our visitors guides and other trip-planning brochures and guides. Oh wait, you want to order one or two or more? If you prefer the good old-fashioned paper copy, we&apos;ll send our latest to you. To order special interest publications click here. We&apos;ll get them to you as fast as we can. If you&apos;d like to talk to a Finger Lakes Visitors Connection team member, call us at (877) 386-4669. We have lots of insiders information to share with you. And, speaking of Insiders, how about a visit to our blogs (otherwise known as Insider&apos;s Diaries)? Here you&apos;ll read or see some of the special experiences that our insiders have had touring around Ontario County. We know you&apos;ll make the most of your trip after you hear from us how much fun we have living here. 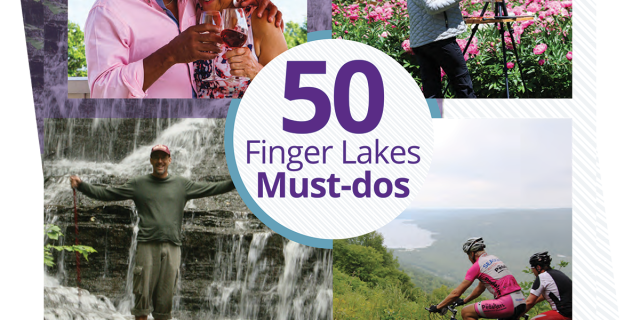 But, there&apos;s no need to live vicariously; get here soon - and write your own Finger Lakes adventure.